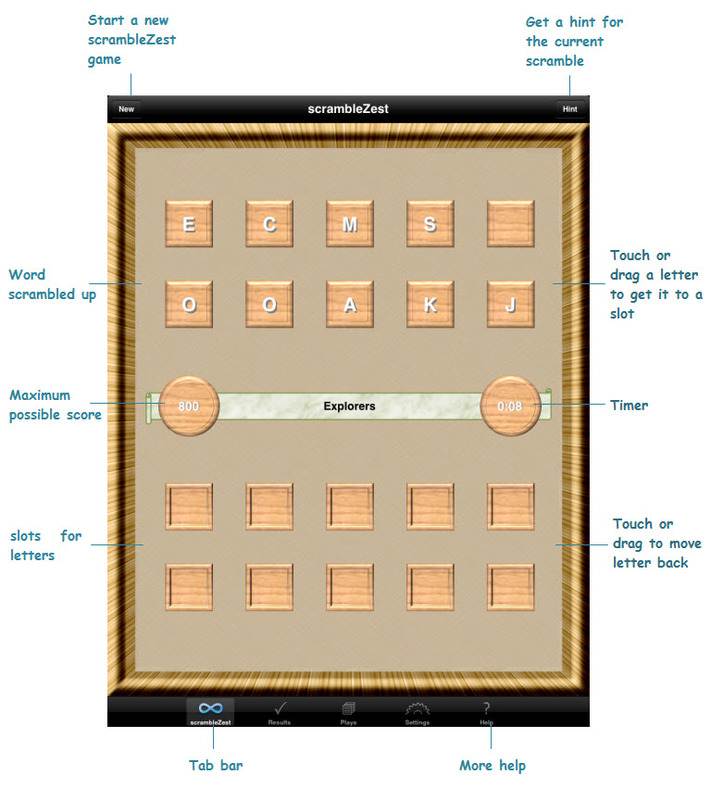 scrambleZest is a creative unscrambling game for iPad/iPhone/iPodtouch. 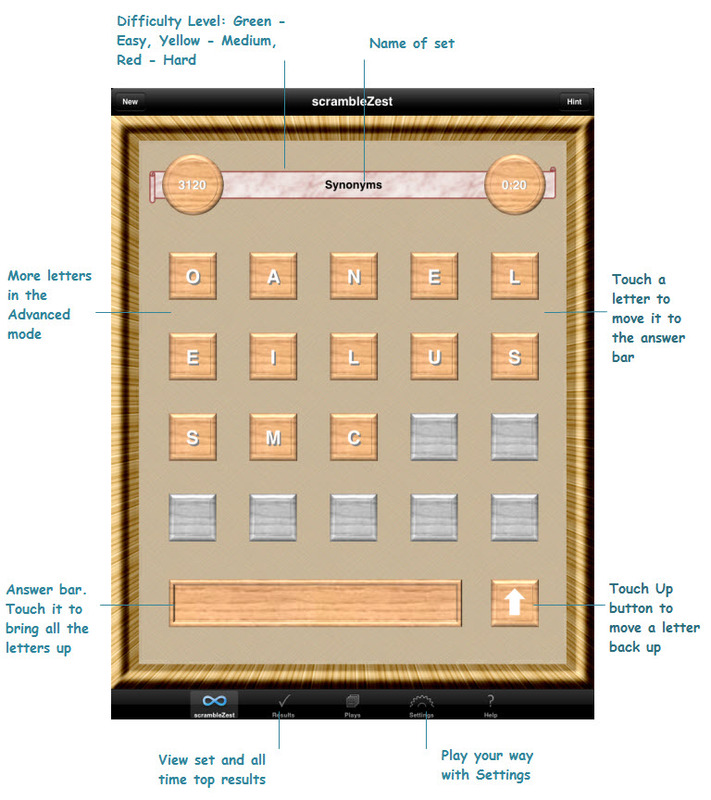 You can play a large number of carefully prepared scrambles from a wide variety of categories. Each scramble comes with just enough of a hint to tease you and entertain you. You will have fun, but your time will be well-spent.